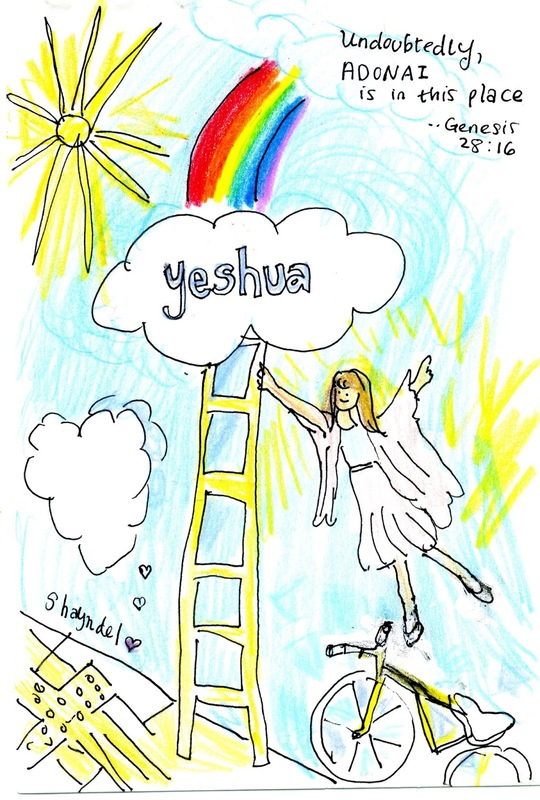 During this week of meditating on the Parashat VaYetse, I have been seeing ladders and rainbows. First, God revealed a rainbow on a sunny day! I saw it there above the cloud, so perfectly standing...like a ladder...and there wasn`t even rain at all that day! I wanted to scream out the words above from Genesis, Surely God is in this place!!! Jacob right away made an altar to honor the meeting with ADONAI and the spot. How can we turn moments in our everyday waking lives into moments of worship and praise!? When we have those wonderful moments in our days when we feel His presence, may we remember how our forefathers bowed down and worshipped ADONAI right there! I tried to represent my thanks and awe and mark the spot where I was standing in a drawing, so the middle drawing above is like an `altar` of praise. Later in the day I saw cloud formations that look like the Ladder connecting heaven and earth. It is thrilling to see in this Parashat how the Ladder is for Jacob`s Ladder (Genesis ch. 28) and is also represents Yeshua as the one who connects us between Heaven and Earth!! 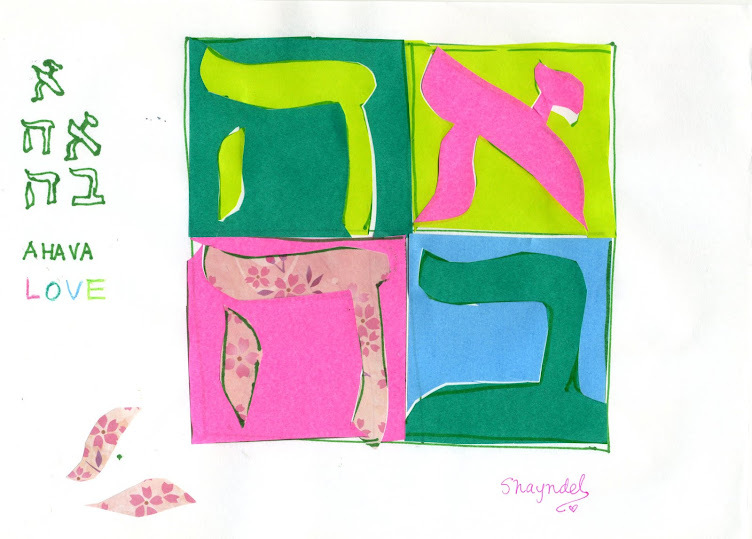 This weeks Torah Portion (parashat) is VaYetse, and he went out. To me the clouds look like angel wings, too! Yes, I see that too about the angel wings!